Amazing Investment Opportunity! Live Yourself Or Collect Rent $2980/Mo W/Potential To Increase. 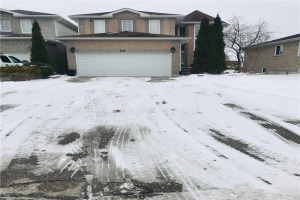 Great Size Updated Bungalow With Sep Entrance Basement Apartment And Swimming Pool Sitting On 50' Lot On Quiet Street. Newer Bathrooms, Hardwood, Sep. Laundry, Walk-Out To Backyard From Both Levels. New Furnace 2016, Roof 2018 W/10Yr Warranty Driveway 2010. Close To Shops, Schools, Go. 2 Stoves, 2 Fridges, 2Washer/Dryer, Dishwasher, Microwave, All Elf.